Imaging Resource, CNET: Canon announced that it has successfully developed the world's largest CMOS image sensor, with a chip size measuring 202 x 205 mm2. The newly developed CMOS sensor is among the largest chips that can be produced from a 12-inch wafer, and is approximately 40 times the size of Canon's largest commercial CMOS sensor. By ensuring the cleanroom environments during the production process, Canon minimizes image imperfections and dust. 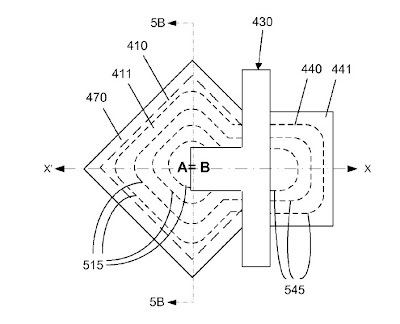 Canon said it has solved large sensor speed problem through an innovative circuit design, making possible the realization of a massive video-compatible CMOS sensor. The sensor makes possible the image capture in one one-hundredth the amount of light required by a 35 mm full-frame CMOS sensor, facilitating the shooting of 60 frame-per-second video with a mere 0.3 lux of illumination, about one-half the brightness of a moonlit night. Update: Tech-On presents more details on the Canon's giant sensor. Its pixel pitch is 160um and the resolution is just 1.6MP. 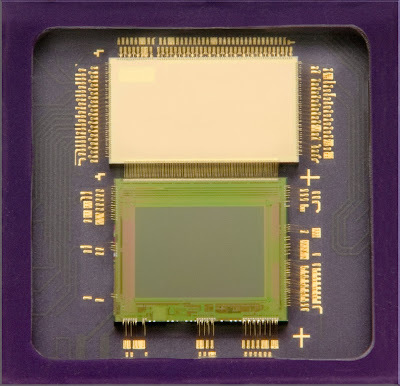 Business Wire: Aptina announced the availability of a new feature-rich 8MP CCS8140 imaging solution combining MT9E013 8MP image sensor with MT9E311 imaging co-processor while maintaining speeds similar to a standalone image processor. The CCS8140 complete camera solution requires only minimal tuning and sensor adjustments to complete the final product design. CCS8140 solution offers advanced functionality, such as face and scene detection, and enabling new applications such as visual search. The CCS8140 solution offers up to 250MP/second throughput processing, enabling low latency, low shutter lag, and fast 1080p/30fps HD video recording over two-lane MIPI output. 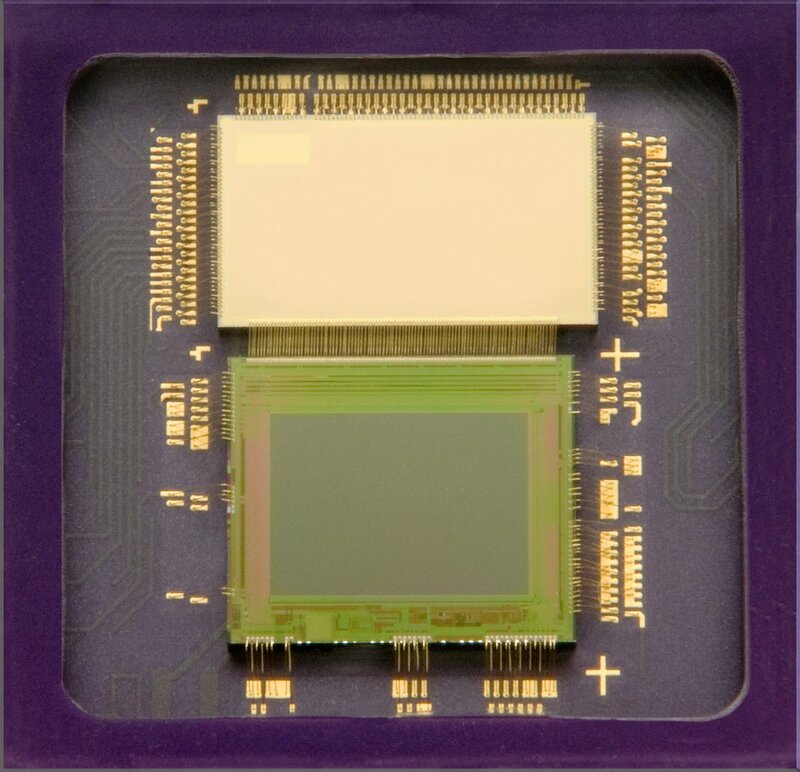 "Traditionally, camera module integrators and mobile handset OEMs have had to source their 8MP sensor and co-processing solution from two different sources, and then spend considerable time and resources in tuning for image quality" said Farshid Sabet, VP and GM of Aptina's Mobile, PC Gaming Business Unit at Aptina. "With the SoC-like configuration of the Aptina CCS8140 imaging solution, we are removing the compatibility and cost concerns associated with using standalone components and the image processing and improving performance beyond SoCs. We are pleased to provide a complete camera solution in a form that allows module integrators and handset OEMs to meet stringent time-to-market requirements, while lowering design risk and costs." CCS8140 solution is sampling now as bare die or as packaged parts. Mass production is scheduled for CYQ4 2010. PR-Newswire: Omnivision introduced the OV9740, a 1/6.5-inch SOC image sensor delivering native 720p/30fps HD video. 1.75um pixel OmniBSI technology enables the OV9740 to deliver low-light sensitivity at 1300 mV/lux-sec in ultra-thin camera modules of less than 3.2 mm. OV9740 integrates automatic WB, color noise reduction in the YUV domain, automatic exposure, automatic gain control, auto black level calibration, gamma correction, defect pixel correction, edge enhancement, lens correction, and dual lane MIPI interface. The OV9740 is sampling now and is expected to enter mass production in September 2010. Caeleste published its invited presentation on X-Ray Photon Counting Sensors at OSA Symposium, Tucson, June 2010. CMOSIS announced NIR-enhanced versions of its 2.2MP CMV2000 and 4MP CMV4000 sensors. Both sensors are based on 5.5um pixels processed on 12um epi wafers. The thicker epi improves 900nm QE from 8% in the standard sensors to 18% in the NIR-enhanced one. CMV2000 and CMV4000 E12 devices are available in sample quantities. "Since August 2009, Hynix has been supplying 300K and 2-megapixel CMOS Image Sensors for Korean cell phone users. Due to the extraordinarily favorable response and feedback from customers, the number of cell phone models adopting Hynix’s CMOS Image Sensor is expected to grow continuously. In February 2009, Hynix began developing 1.3-megapixel CMOS Image Sensors from design stage to quality assurance. The company also laid the foundation for the stable supply of high-quality CMOS Image Sensors by securing more than 90 percent of the 300K-pixel market and 85 percent of the 2-megapixel market based on yield rates. In November 2009, Hynix also completed a roadmap for organization and integrated design so as to reduce inefficiency which resulted in the separate development of products by Hynix, SiliconFile, and Hynix Semiconductor America Inc.’s research center. This has led to more effective project management and an optimal design process, which is expected to increase the company’s development capabilities. Hynix aims to develop 5- and 8- megapixel products using the world’s smallest 1.4-micron pixel and is currently developing a back-illuminated CMOS Image Sensor and ultra-fine pixel with the goal of entering the DSLR and hybrid camera market in 2011. In the future, Hynix will enhance its position in the CMOS Image Sensor market even further by expanding the scope of its target markets and diversifying applications based on strengthened capabilities." So, while not clearly written, it appears that Hynix is going to enter DSLR sensor market with BSI sensor having small pixel pitch - this might be an interesting product. Another interesting observation is that Hynix lists Siliconfile as its subsidiary (page 15). 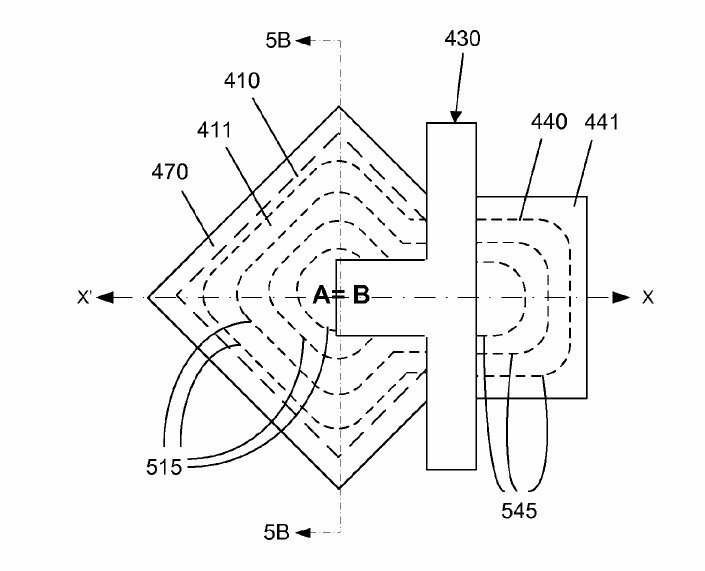 Together with apparent integration of Siliconfile design in the Hynix plans, it looks like Siliconfile is completely absorbed by Hynix. Sony CX-News Vol. 61 has an announcement of 1/3-inch ICX672AKA/ICX673AKA (NTSC/PAL) CCDs. 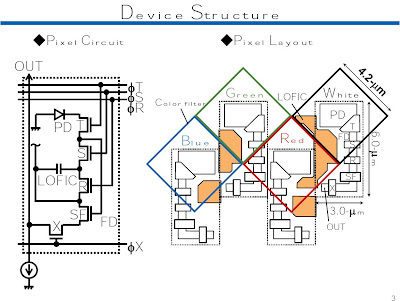 The CCDs have 960 pixels horizontal effective resolution (960H sensors) intended for use in "Effio" platform. The sensors are dubbed "EXview HAD CCD II" and improve light efficiency by including near infrared light region as a basic structure of Sony's "EXview HAD CCD". They realize sensitivity of 1000mV (typ) or more per 1 μm2 (Color: F5.6/BW: F8 in 1 s accumulation equivalent). NTSC ICX672AKA pixel size is rectangular 5 x 7.4 sq.um, while PAL version ICX673AKA has 5 x 6.26 sq.um pixels. ...could you describe a little bit about your market share position in the camera phone market? Did you feel that you are gaining share against your competitors? Where do you see upside? 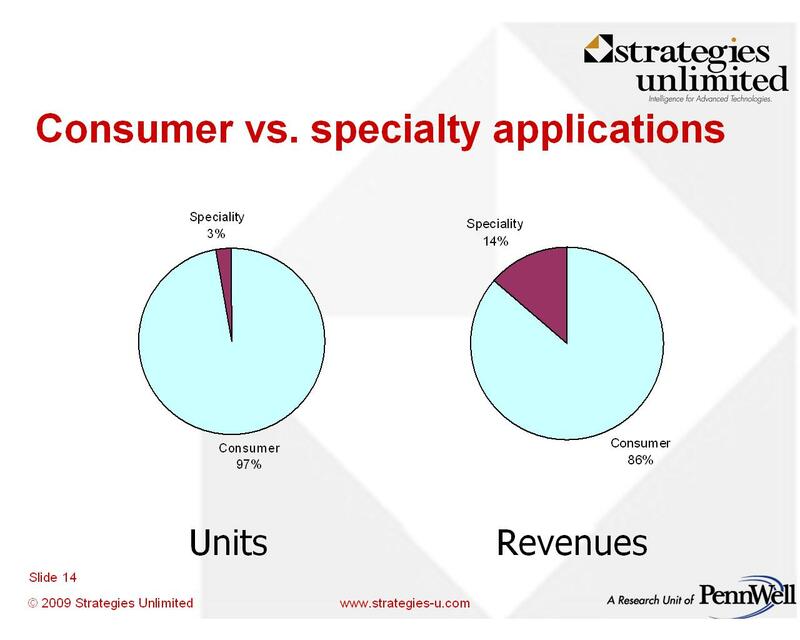 And maybe describe a little bit about your technology – “technology leadership” in BSI-1 and BSI-2 relative to your competitors. How do you characterize that? ...our BSI position backing into some high value projects, high value customers, represents a significant market share gain. Now, obviously that’s just an opinion. We will have to wait till the market analysts quenched our numbers when the calendar year closes out. But that’s our opinion going forward. In regards to technology of BSI, obviously to ship the quantities that we are shipping today, it’s a long learning curve. We regard that as extremely a big advantage to OmniVision, and our competitors will probably face that step when they get to it. And it’s not easy to ship the volumes we have. You guys talked about the competition in BSI, and I think the commentary was that you guys remain ahead of the competition. Could you please give us a little bit more color behind that and what's differentiating you and why are you so far ahead of the competition? We have been developing the backside illumination technology with our strategic partner TSMC for many years. This has been a five-year effort for us. And there has been a tremendous amount of intellectual property developed between the two companies in that process. And that’s very hard to reproduce and is very hard to reproduce in a short time period. So if you look at our success and the growth we’ve seen, it’s really been fueled by BSI. So that should give you an indication that a great portion of that learning has already taken place for us. So we think that as a big barrier for the competition. ...traditionally, in the CMOS unserved market, like-for-like prices tend to drop on the order of 20%, 25% a year. ...Should we expect BSI chips to kind of follow those same patterns over the next year or two? ...going forward, everything we could possibly do, we try to prevent similar type of price erosion that we’ve seen in our standard FSI-type technology products. So I’d like to say we’ll definitely try to drive the BSI to a better proportion to the marketplace and to our shareholders. Anafocus (Spain) has successfully got new funding totaling 2.5M Euros. The new investment will be used for the acquisition and setup of clean-room facilities for sensor mass-production, the development of a family of off-the-shelf intelligent CMOS image sensors for machine vision, and the expansion of the team and installations in Anafocus’ offices in Spain and Japan. The funding has been accomplished by Fondo Jeremie Andalucia, a private equity and mezzanine fund managed by the Agency for Innovation and Development of Andalucia. Bullnet Capital, the Spanish venture capital firm that led the Series A round, remains an investor in the company. PR-Newswire: Omnivision reported financial results for the fiscal Q1 2010, ended July 31, 2010. Revenues for the quarter were $193.1M, as compared to $157.2M in the previous quarter, and $105.6M in the quarter a year ago. Gross margin for the last quarter was 26.9% as compared to 24.9% a quarter ago and 22.4% a year ago. The sequential increase in gross margin reflected an improvement in product mix resulting from a substantial increase in 5MP sensor revenues. The company expects next revenues will be in the range of $220M to $240M. "I will run a new course (first time in November, in Barcelona) with hands-on measurements and evaluation in the class room. I bought 10 laptops, 10 cameras, 10 power supplies, 10 lightsources, etc. to allow the course participants to measure sensors and cameras during the course. Characteristics that will be measured are : dark current, DSNU, black reference, defects, RTS pixels, light sensitivity, PRNU, spectral response, conversion factor, pixel FPN, column FPN, row FPN, MTF and of course ......... PTC ! This brand new course will be unique in the world. Nobody else is offering such a hands-on course in the imaging field." 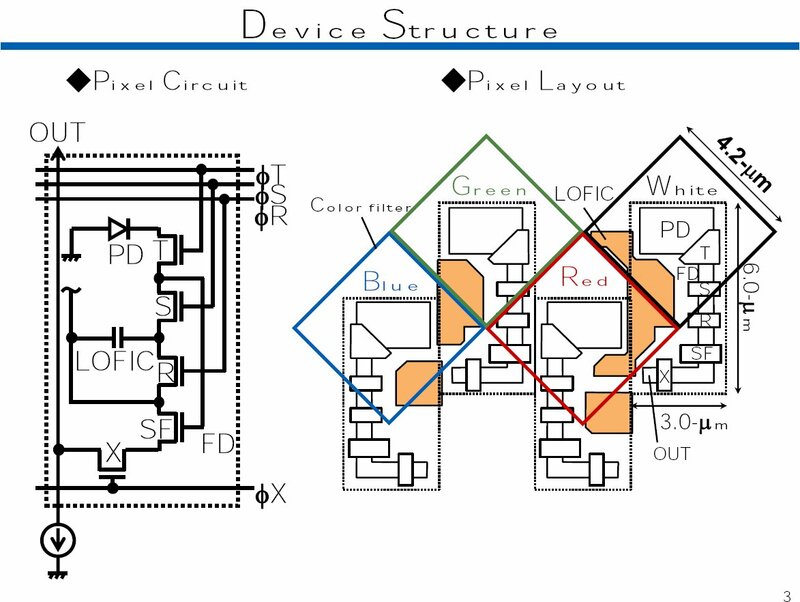 While we are at Albert's educational activity, Delft University published Cheng Ma's MS Thesis "Pixel ADC Design for Hybrid CMOS Image Sensor" where Albert Theuwissen is the supervisor. Albert Theuwissen's PTC series goes on, this time analyzing Pixel, Output, Row, Column (PORC) noises. Albert concludes: "It is amazing how much basic sensor information can be extracted from simple uniformly illuminated images without knowing the amount of light falling on the sensor. This is one of the key advantages of the PTC : without doing any absolute measurement of the light input, the sensor can be easily characterized." Nobukazu Teranishi (Panasonic) won The Royal Photographic Society Progress Medal and Honorary Fellowship "for his pioneering involvement in the development of solid-state image sensors, especially the pinned photodiode". 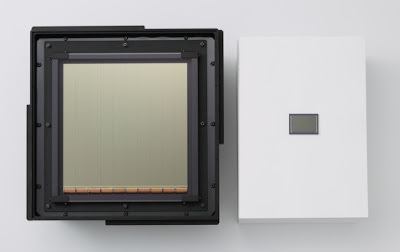 Imaging Resource: Canon announced that it has successfully developed an APS-H-size CMOS image sensor that delivers an image resolution of approximately 120M (13,280 x 9,184 pixels). Its imaging area is about 29.2 x 20.2 sq. mm, suggesting 2.2um pixel size - quite an achievement assuming that Canon process is 0.25um. The sensor's speed is 9.5fps continuous. 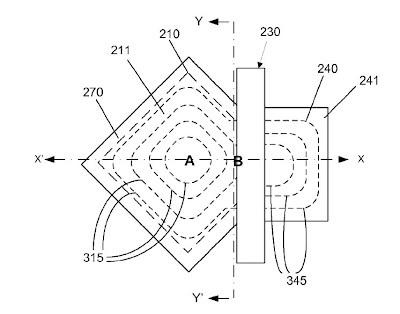 The sensor can output Full HD video from any approximately one-sixtieth-sized section of its total surface area. Just over a year ago Canon announced 50MP APS-H sensor. The highest resolution Canon DSLR camera is still limited by 21MP, to the best of my knowledge. As per Eric Fossum comment, IISW site has extended its workshops archive all the way back to 1986. MarketWire: TYZX is another 3D depth-sensing company utilizing a passive stereo approach combined with extensive image processing. The company announced that its new DeepSea XD series of long-range stereo vision cameras rely on a pair of Aptina WVGA imagers. The series uses 40º, 62º, or 80º horizontal field-of-view lenses and covers a range of distances from 21cm to 128m. Incidentally, both Primesense and TYZX, the two companies pursuing stereo approach to extract distance map, rely on Aptina sensors, albeit on different part numbers. Varioptic announced that it has raised an additional 2M€ from its current investors PolyTechnos and Iris Capital "to expand its leading global market position". Varioptic’s autofocus liquid lenses are used in devices ranging from bar code readers, machine vision instruments, security cameras to medical dental cameras. More than 200 000 lenses have been already sold to customers. With the additional finances available Varioptic will increase its customer portfolio in the industrial and professional cameras. Image Sensors Europe 2011 is to be held on March 22-24, 2011 in London, UK. No detailed conference program is published so far. Pixim introduced its Seawolf imager, claimed to be "the world's first single-chip, enterprise video camera solution. For the first time, security camera manufacturers will be able to use a single, digital chip, rather than more complicated mixed-signal, multi-chip sets." The Seawolf chip is said to provide 10 times the low-light performance of previous generation security camera chip sets as well as the greatest WDR and accurate color performance at half the hardware build cost. Boasting 690 HTVL effective, Seawolf is said to deliver "the highest usable resolution to the CCTV end user". Users of IP cameras will benefit from Seawolf's global electronic shutter, progressive scan image capture, and full D1 resolution at 30fps. SecurityInfoWatch site published an article about the new Seawolf chip. PR Newswire: Omnivision announced 1/13-inch OV7727, the first VGA sensor built with OmniBSI technology. Based on 1.75um OmniBSI pixel, the OV7727 delivers low-light performance of 1300 mV/lux-sec. It also enables complete camera modules with Z-height as low as 2.2 mm for integration with sub-2mm LCDs for next generation super-thin notebooks, netbooks and tablet computers. The OV7727 comes with a full array of image processing functions, including AE control, gamma correction, automatic WB control, and defect pixel correction. "VGA sensors are generally considered low-end and low-cost, but the OV7727 is quite the opposite in terms of performance. It is a very high-end VGA product, and currently the only sensor on the market that can meet the size, cost and performance requirements of the next generation high-end notebook market," said Nicholas Nam, senior product marketing manager at OmniVision. "We listened to our customers and realized there was real demand for thinner yet better performing notebook cameras to facilitate the continued design shrink in the notebook market." The OV7727 is now available for sampling and is expected to enter mass production in September 2010. "In our CMOS image sensor product line, on top of shipment for handsets, we started small volume shipments of notebook PC applications to one of the world's top notebook brands. The adoption by this world-class brand validates our product and technology competitiveness. With the sampling of our next generation CMOS image sensors, we are on track to be awarded with more design-in projects for a wider range of customers." 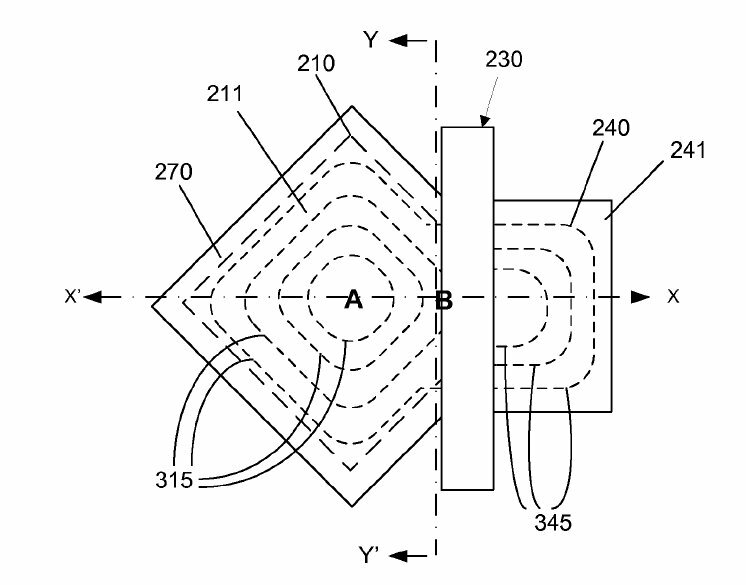 Last time Himax reported shipping small volumes of commercial image sensors was in February 2010. I'm not sure what has changed since then. Omnivision application US20100176276 promises to reduce image lag and increase full well in 4T BSI pixels. One other interesting note is that the inventor is located in Hiroshima, Japan. So far, I did not know that Omnivsion has a pixel design group there. There is a lot in the CSI-3 feature list: speed of 5Gbps per lane, dual simplex operation, no limit on number of parallel lanes, etc.